There is no single coin from the Perth Mint that generates more interest each year than the Silver Australian Kookaburra. 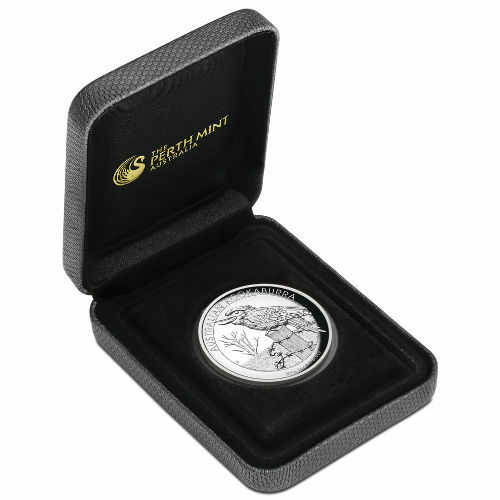 Originally available as a silver bullion coin in 1990, the Silver Kookaburra has grown today to include various sizes, a gold version, proof finishes, and even a high-relief striking. 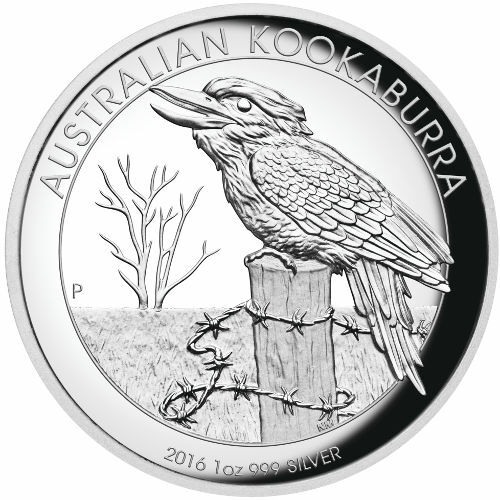 Today, the 2016 1 oz Proof Silver Australian Kookaburra Coin is available in high relief on Silver.com. Total mintage of 10,000 coins for the 2016 issue! 27th different design to grace the Silver Australian Kookaburra coin! Ships in a themed presentation package, complete with a numbered Certificate of Authenticity. 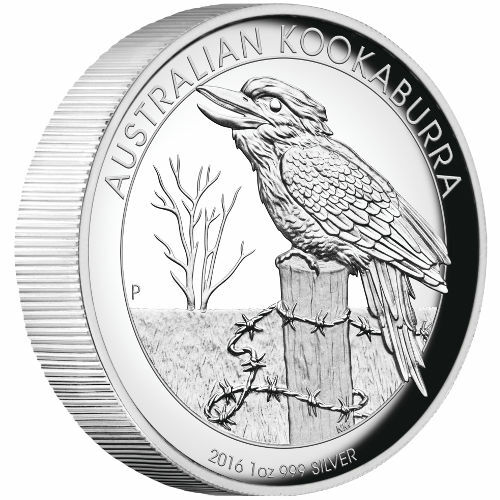 Features the Kookaburra on the reverse; an all-new design for 2016! Obverse includes the right-profile portrait of Queen Elizabeth II. High-relief proof striking of the Silver Australian Kookaburra. Australia’s Perth Mint strikes three popular silver coin series that feature native species. The Silver Australian Kangaroo, just released in 2016, is the newest. The 2007 release of the first Silver Australian Koala brought the continent’s most lovable creature to silver bullion coins. None of these coins would exist however without the two previous decades of interest generated by the Silver Australian Kookaburra. 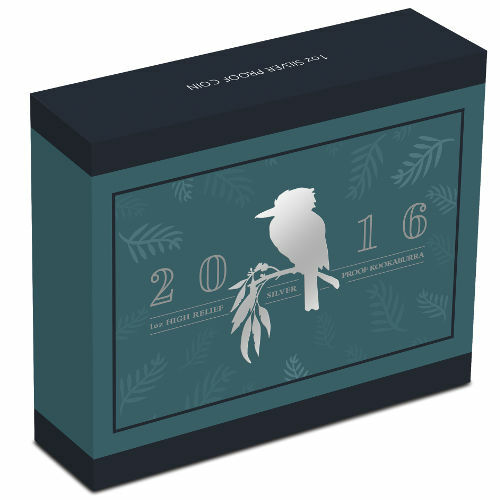 Available since 1990, the Perth Mint continues to release the brilliant Kookaburra silver coins with new designs each year in a growing series that includes these 2016 1 oz Proof Silver Australian Kookaburra High Relief coins. With your order today, you’ll receive a high-relief proof struck multiple times under immense pressure to create design sets that jump off the surface field of the coin. The Perth Mint is only making 8,000 of the total mintage of 10,000 available for purchase in presentation packaging, so act fast to receive your coin with a Certificate of Authenticity! On the obverse of the coin you’ll find that familiar right-profile image of Queen Elizabeth II from Ian Rank-Broadley. Created in 1998, it is accompanied by engravings of her name, the nation of issue, and the face value of the coin. Please feel to contact Silver.com with questions. Our associates are available at 888-989-7223, online using our live chat, and via email.